The week did not start out well for Josh Smith, who allowed a home run to the only batter he faced on Tuesday. He came back on Friday and allowed two hits to the three batters he faced, but neither came around to score. Deiner Lopez went 2 for 7 over three games, with three strikeouts while also grounding into a double play, and Juan Hernandez went 0 for 2 but did score a run. 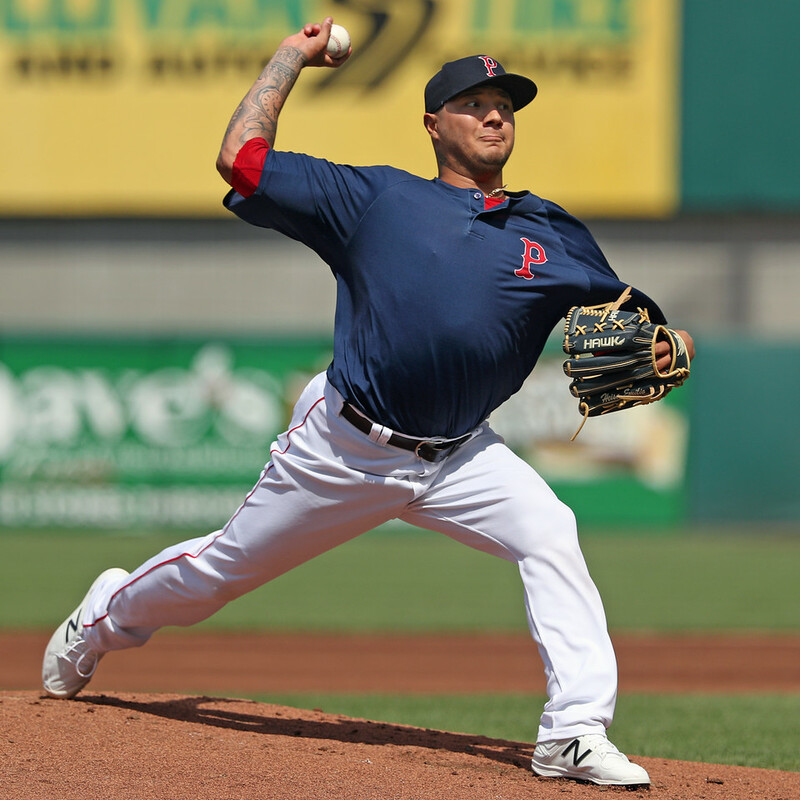 With Bryce Brentz and Chandler Shepherd back in the States, it looked like the action was over for the Red Sox prospects in Mexico, but Hector Velazquez (pictured, above) debuted last week, tossing two innings of one-run ball while striking out one. Velazquez was signed out of the Mexican League in February of this year. Additionally, the Red Sox signed Esteban Quiroz as an international free agent back in November and he has been playing in the MPL, but listed as Jesus Quiroz. He last played on December 9, and is batting .277/.408/.355. The season came to an end for Boston on Monday after losing in the one-game semifinal to eventual champion La Guaira. Oddanier Mosqueda was hit hard, allowing four runs in only two innings, and Ritzi Mendoza came on in relief and allowed four runs in one inning. Ricardo Cubillan led the offense going 4 for 5 with a home run, and Isaias Lucena went 4 for 6 and drove in two runs. It was a rough week for Jose Sermo, who went 1 for 8 with three strikeouts, but his one hit was a home run, his fourth of the season. Courtesy of Extra Innings UK on Twitter, we learned that Roniel Raudes pitched for his native Nicaragua in the Central American Games. He pitched twice in relief, both three-inning, scoreless stints, striking out 11. Nicaragua beat Panama for the tournament title on Monday, with Raudes picking up the save in the clincher.